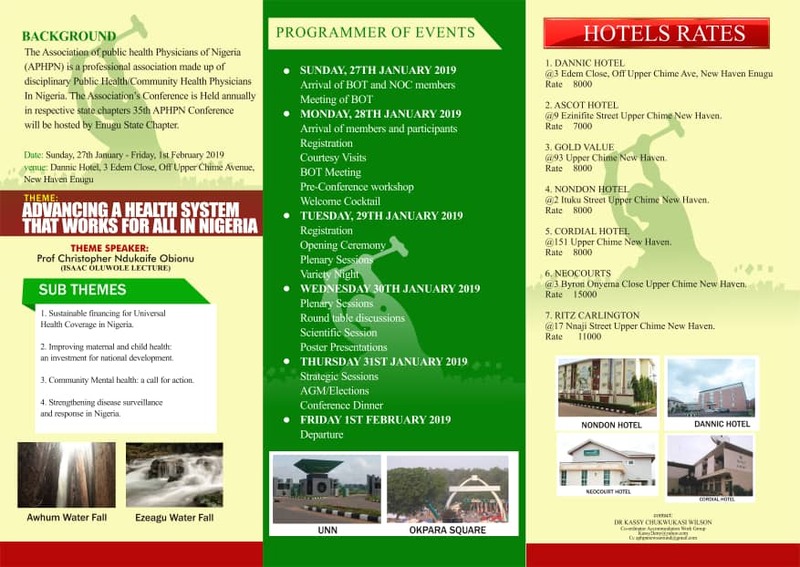 APHPN is a professional association that is made up of disciplinary Public Health/Community Health Physicians in Nigeria. 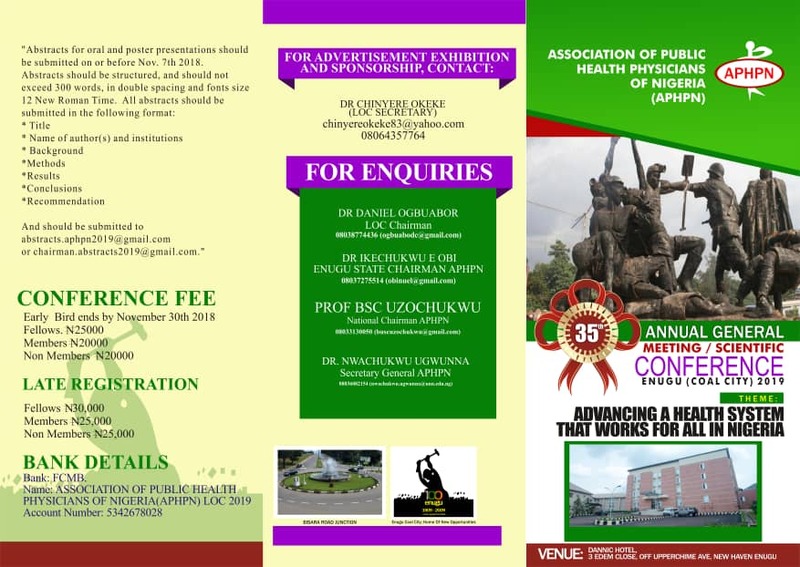 The Association'Conference is held annually in respective state chapters. To register, please complete form below. For sponsorship or enquiries, please send an email to [email protected] or call 08095907316. Title * - Select -Prof.Dr.Mr.Ms.